Total War: Arena will soon fight its final battles. Creative Assembly and Wargaming announced that today’s patch for its free-to-play RTS game would be its last and the game will be ceasing operations on Feb. 22, 2019, three months from today. The reason given for the shutdown is simple: “the results of ARENA Open Beta Test did not meet all our expectations.” The project isn’t a total loss; the development team will be reassigned to other Total War projects, with the technological advancements from Arena being used in future Total War products. In fact, Creative Assembly said it still has interest in multiplayer projects, though it’s unknown as to whether that refers to totally new games or something that will be a part of traditionally single-player Total War titles. To soften the blow, players will receive gifts from both companies. 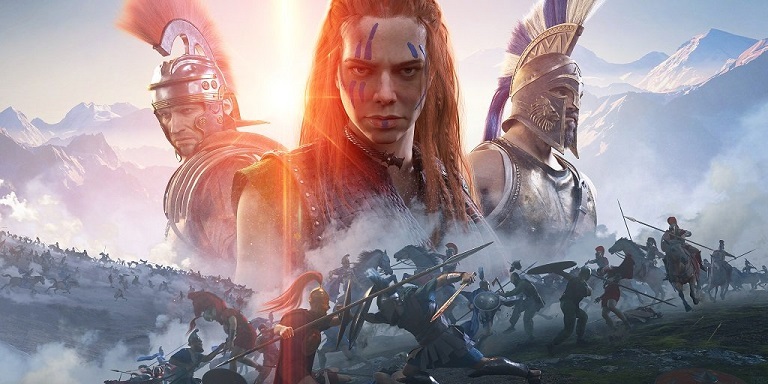 You can select one of four pieces of Total War content from Creative Assembly, while Wargaming is gifting 30 days’ worth of premium time to all three of its main games — World of Tanks, World of Warplanes, and World of Warships — provided you played at least 100 battles in Total War: Arena during its open beta. Real-money purchases in Arena have already been disabled, and any gold in your Arena account will be transferred to your Wargaming “World of” account, with purchases made between Aug. 22 to Nov. 22 having their costs refunded. Complete details can be found in a blog post on the Arena site. I played a good bit of Total War: Arena and generally liked it, though I could see its flaws, especially concerning monetization. The big deal in any free-to-play game (done right) is cosmetics, and those were difficult to implement in Arena. You couldn’t exactly outfit your Roman soldiers in bright pink armor with flaming shoulderpads, like you could in most games, while the more historically accurate cosmetics, like face paint or intricate armor or shield designs, weren’t very noticeable on a battlefield with hundreds of tiny soldiers, all viewed from a high-angle camera. In the end, Total War: Arena faced an uphill battle to be financially relevant, and as any Total War player knows, you never want to fight uphill. Compared to its sibling games of the same genre (e.g. Armored Warfare, War Thunder, Steel Ocean etc. ), Total War: Arena played itself even with friends less like a strategy or team-based tactical game and more like a one-off action. There was little you could still turn around with skill or teamwork. Instead it was more of this very repetitive routine of each player just doing their thing and then basically just rinse and repeat until all troops were used up. Not surprised in the least bit, while this type of game is fun solo or with friends, it requires way to much teamwork to be a successful MMO. graphics same level as TW:Shogun from 2011, less [how do I put it] Leaders, all units in squad look same compared to all TW SP games. Total War fans play games from the universe they like which they bought long ago (some love Warhammer, some love Japan, etc) of course they won’t rush into ARENA just b’cuz it’s f2p. It also had very few things in common with the main TW series. When it re-released it was basically a MOBA without lanes and with squads instead of heroes. Such a shame it’s a good game there’s just minimal advertising going on for it to succeed. They’ve failed pretty hard, no amount of advertisement can fix that. The game wasn’t perfect to begin with and it somehow got worse compared to Steam release. – failed to attract the larger audience anyway, because they misjudged what it wants.